Just to get this right out front, I feel terribly for victims of the so-called Opioid Epidemic. I don’t think anyone wants to have their lives controlled by pills or needles. I recognize that addiction exists, that it is a legitimate condition, and that every single human being experiences addiction in some way, shape, or form. People have the capacity to be addicted to everything from exercise to crystal meth to chocolate to weed to cheeseburgers to tobacco to muscle relaxants to caffeine to … well, you get the idea. Addiction is real. For a long time after the words “Opioid Epidemic” came to be, I rolled my eyes and was not especially sympathetic. Part of this, of course, was being married to a violent and abusive alcoholic, which developed in me the erroneous mindset that those allowing chemicals to change who they were must be weak and pathetic people indeed. The other part was an annoyance that people tried drugs like heroin in the first place. I mean, it wasn’t like every American school child in recent memory hadn’t been told the dangers of drugs. I don’t know anybody younger than fifty that wasn’t educated about drug abuse in schools, that wasn’t fully aware that shooting heroin was a dumb idea. I wasn’t aware then (because I didn’t care to read too closely) that those addictions were often born as the result of prescription pain medication. I have lost people close to me from drug overdoses. There is actually a current mini-epidemic among people I went to high school with that is just breaking my heart. I am saddened and distraught that people I know, love, and respect have lost a battle with a formidable enemy. And then I became a victim of the Opioid Epidemic myself, if not the traditional type, and I slowly realized that the problem is much larger than people dying of overdoses, families struggling to keep it together after the loss of their loved ones, first responders and public schools trying to figure out the situation with Narcan. I’m guessing most people have seen this meme, right? Things are pretty out of control. So how did I become a victim, albeit not the way you would think, of the Opioid Epidemic that has so badly shaken America? In mid-April, I had a surgery that was supposed to be pretty straightforward. Prior to the surgery, the doctor gave me a prescription for 20 oxycodones to have at home. Filled it, put in the medicine cabinet, used it sparingly alongside ibuprofen and Tylenol when I was released from the hospital, no problem. A couple of weeks later, I developed a complication. Went to the doctor, used the rest of the oxy while dealing with significant pain, no big deal. I don’t want to get into detail about the additional complications other than tell you that they resulted in two hospitalizations, one of which was ridiculously lengthy. 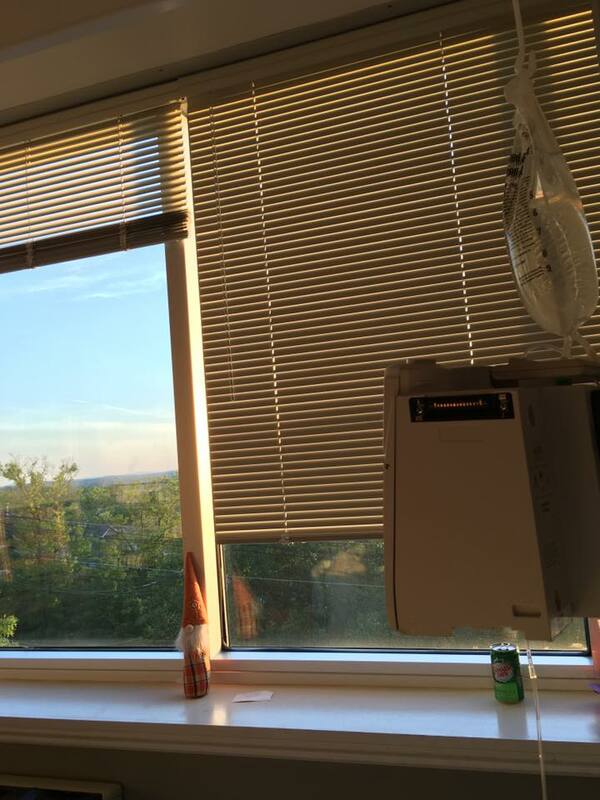 While in the hospital, I was able to have oxycodone every four hours once the Dilaudid pump was removed. Anyone I e-mailed or texted during this time, I apologize. I was largely in Lala Land. When I was discharged for the final time (well, knock on wood it’s the final time), I had prescription painkillers. I also had pain, and a limited number of prescription painkillers. The pain, though … unspeakable pain. Keep-you-up-all-night pain. Sleep on the couch watching Grey’s Anatomy because it was too hard to concentrate on a book pain (and for anyone that knows me, I can always concentrate on a book). I called the surgeon about the pain, and they had me come in. Not unexpected, they said. Try Tylenol, they said. (I was, at this point, already alternating Tylenol and ibuprofen around the clock). Call if it gets worse. It got worse, so I called the next day and they had me come in. Not unexpected, they said. Have you tried Tylenol? Well, try alternating it with ibuprofen. Call if it gets worse. It got worse again, so I called the next day. Have you tried an ice pack? How about heat? Oh, and Tylenol should help. I finally called my Primary Care doctor, who made a joke about all the reading he has done about me over the past few months. He’s been my doctor for years, and I was very frank with him. I explained that I was in pain, horrible pain, hadn’t slept in a week, and the surgeon’s office did not seem to care. I was not, I told him, looking for a heavy duty prescription, but surely there must be something between Tylenol and oxycodone. He thought for a moment and said, “What did they give you in the hospital?” I told him, and he asked if it worked to control the pain. I did indeed know the drill. I needed two of those pills, by the way, then the pain was manageable with ibuprofen and Tylenol. There were further complications, of course, but my new surgeon (because I was totally all done with the other guy) actually gave me prescription pain medication when she did a procedure. Not a lot, but the same message as my PCP–we will evaluate if you use it all. I needed it for a few days, then I was fine with ibuprofen and Tylenol. I’m not getting into detail about what was going on, but suffice it to say that my pain wasn’t in question, even by the yahoo that told me to use an ice pack. Bloodwork and CT scans supported the fact that I was in excruciating pain. This wasn’t me going in and asking for pain medicine with no documentation of obvious pain. It was “Tough it out because we do not want to be seen as contributing to the Opiate Epidemic”. I’m not saying that doctors were a little loose with the narcotics for many years, by the way. Far from it. Ten years or so ago, I experienced recurrent pancreatitis because my liver was messed up. Pancreatitis, by the way, makes childbirth seem like a paper cut. This went on for years as they tried to fix the liver damage, and I had a standing prescription for both Percocet and Vicodin. I would call the doctor, say which I needed more of, and they’d call it in. I mean, it was ridiculously easy to get narcotics, and I know that many, many people developed opiate addictions as a result of a situation like this. I am lucky; I do not have a propensity for opiate addiction, I guess. I’ve struggled with other addictions over the years–caffeine, cheeseburgers, tobacco, probably even alcohol at certain times in my life. However, opioid narcotics have never been something I’ve used other than for short-term pain relief. Yes, the ease with which doctors doled out narcotics unquestionably led people to become addicts and, when the prescription pad was put away, those people turned to heroin. Doctors were irresponsible. This is a tragedy, no two ways about it. I know people that have experienced this. I know people that have died from this. That being said, it is equally irresponsible for doctors to allow patients to suffer terrible pain, which has been happening since new regulations came with the term “Opioid Epidemic” in 2015. I have huge respect for my PCP and my new surgeon, who have the courage to balance the dangers of opiates with the need for them. 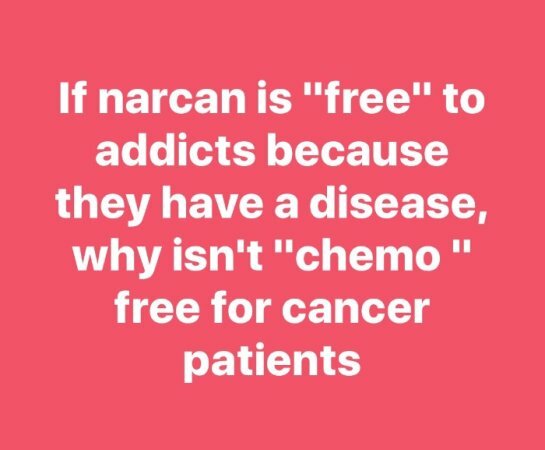 Their mindset of giving small quantities of opiates when medically indicated while being incredibly responsible in overseeing the usage of said medications seems like how it should be. For over a week, when I was crying in pain non-stop, when I was humiliated by a doctor’s office telling me to take Tylenol and use a heating pad when I’d already told them I was doing all these things, when I did not sleep and was grouchy to my family and friends, I was a victim of the Opioid Epidemic. There is no earthly reason for someone to try to exist in the pain I was in, especially long-term. A week may not seem long-term, but when you are the person living with the pain, it is a cruel reality that cannot be put into words. The Opioid Epidemic is generally understood as having victims that are killed by addiction. This is true, and it is terrible. But there are other victims, too. Previous Pizza, Potholes, and Phree Advertising? Thank you for Sharing your story.. I to, know many people who have fallen victim to this so called “OPIOID EPIDEMIC.’ Sadly, like you said, some of those I know turned to heroin because the doctors just suddenly decided to drop them from pain medication. This is an outrage and I am so disgusted with how our country has handled this problem. I am on opioids now, I got them prescribed to me after gastric bypass surgery. Turns out there’re aren’t a lot of medications I can take due to the bypass surgery. Narcotic is however on the approved list of drugs Patients with bypass can have. Anyhow, My story is a bit different because I got hooked on heroin partly because of the opioids prescribed and also due to the bypass. After Surgery, I became very dependent on the Norco’s I was given. Turns out I later found out the there is a correlation with addiction and gastric bypass. Sadly I didn’t realize that this would happen ti me. My doctor tried weening me and that led me to my next drug, Heroin. 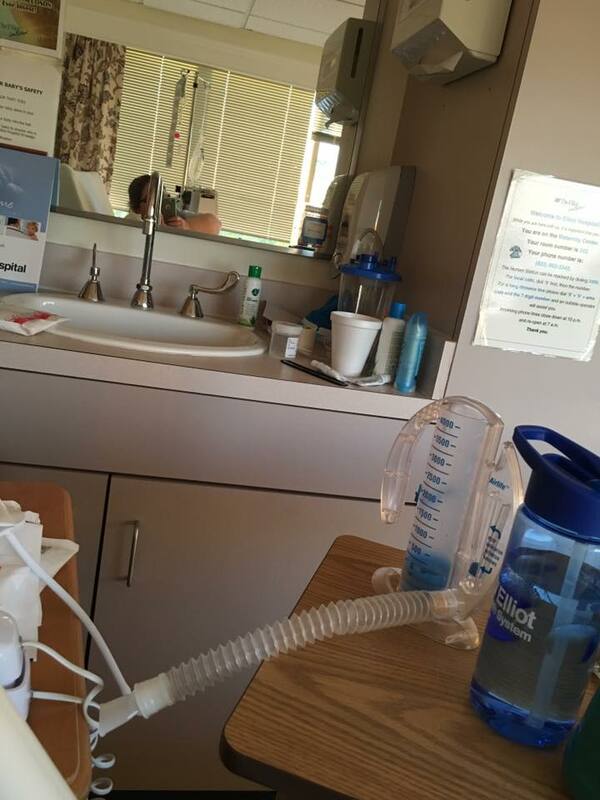 I will leave a link here to my story if you’d like to know about my struggle. Again, thank you for sharing your story, its nice to know that not everyone is quick to judge. I appreciate your blog.